As much as I thought being in a different climate for winter would break me of my winter dressing habits, it has not. 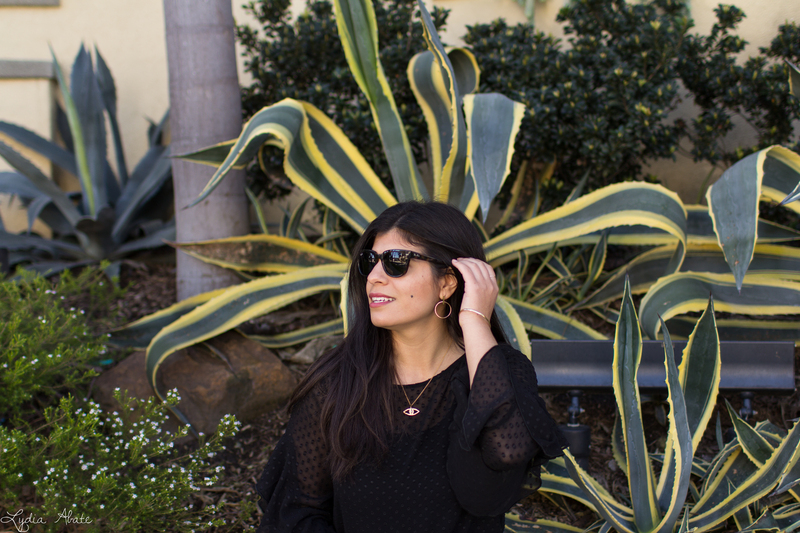 While I try to keep things on the blog varied and colorful, what I post is mostly what I'm wearing on the weekends, while on the weekdays I stick to the timeless combination of jeans, top, and jacket. 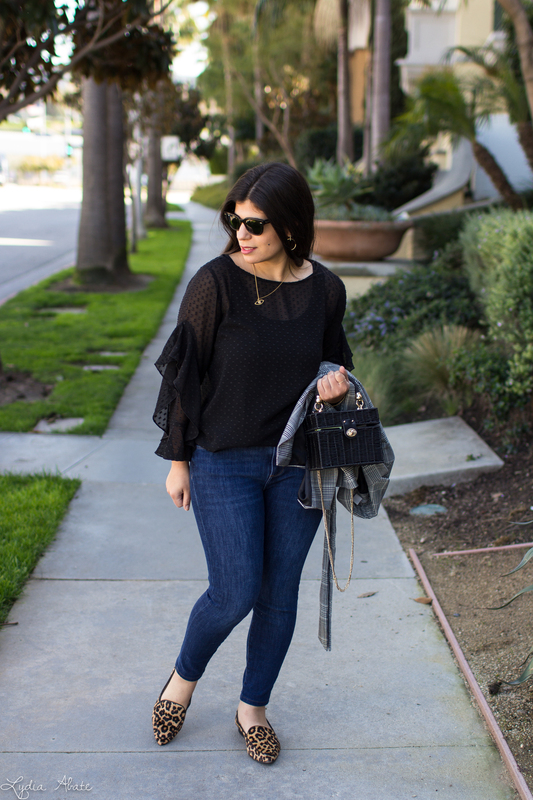 When I started this blog I wanted to be the girl who wears heels to the grocery store, and admittedly, occasionally I am. But now that I'm older and wiser, while I know nothing will replace how great a pair of heels can make an outfit look, I'd much prefer to do my grocery shopping in flats. 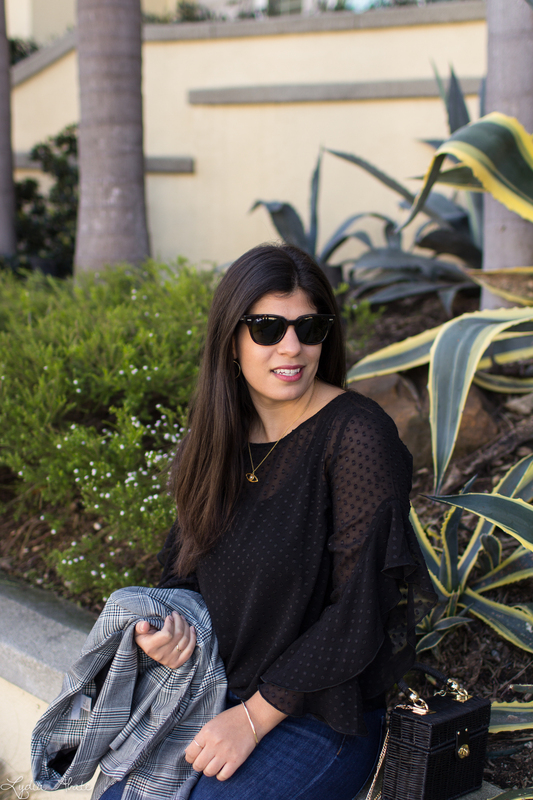 The blog alone used to motivate me to always be putting in the extra effort into getting dressed each day; now some days I go to yoga in the morning and never get out of the leggings. When I was packing for this trip I was so terribly aspirational. I don't know where I thought I'd be wearing all those outfits, but I had visions of so many looks and photo shoots. I fear I will be bringing home a lot of unworn or under utilized pieces, as most days, it's jeans, a top, and a jacket for me. I really do think there is some virtue in realising what kind of outfits work for us - even if it turns out they aren't the outfits we aspire to wear. When I was younger, I always wanted to be the girl in a skirt and heels. But I never felt fully comfortable in those outfits. I love a good pair of jeans and a great sweater, so that's what I wear most of the time and these days, I'm accepting it more and more. I know we often fall into the trap of feeling like jeans are "boring", but to me, this kind of look never gets old - and is almost more fun than a dress, because it requires more effort to really make it look thoughtful and put together. Oh you look lovely in those flats and blazer. I agree with you, in the beginning when we were blogging you could spot a blogger a mile away because of their overdressed selves. Now I feel like we are all a LOT more realistic which is great because our feet are going to freaking hate us if we didn't! Loving that top! Such a pretty look! I tend to be the same way - it's black pants and a jacket most days for me. And, hey, it works, so I can't complain, even if I'm not dressing in as exciting a fashion as my more aspirational self hopes. I'll take this winter uniform any day :-). Loving that blazer too! I love te subtle mixing of prints! You pulled it off effortlessly. Great look! I'm in love with that chic blazer! That is such a cute bag! I do the same with trips, even pre-blog. I'd bring pieces I thought I might wear and in the end stick with the comfortable classics! I love everything about this look! Your top is so pretty and adding animal print makes any look so chic! Love it! Ahhhh...but better to have it and not need it, than need it and not have it. That's definitely my motto. And I Love how you've gotten so much love from that blazer....it's perfect with those shoes!! Dang - I wish my winter uniform could be this lightweight haha. I need a lot more layers to deal with the weather in my city (most days). But you sure look cute! As someone who also wears a lot of jeans, tops, and jackets (or cardigans) I appreciate the outfit inspiration! I love this look too--the texture of the top with the plaid is such a fun mix, and I love the leopard with it too. So it may be a uniform, but it's a stylish one!! 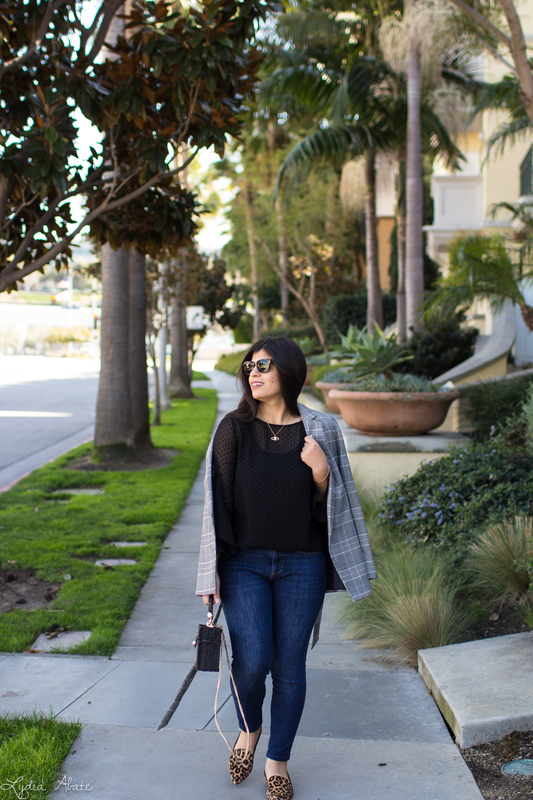 Jeans, a cute top, and blazer are totally timeless! I love the statement flats too (my heels have not seen the light of day much but also old age has brought me sensitive feet lol). I love how the texture of your blouse looks under your blazer! I always end up with unworn things after a trip. I tend to overpack because I want to be prepared for anything! Such a chic look! 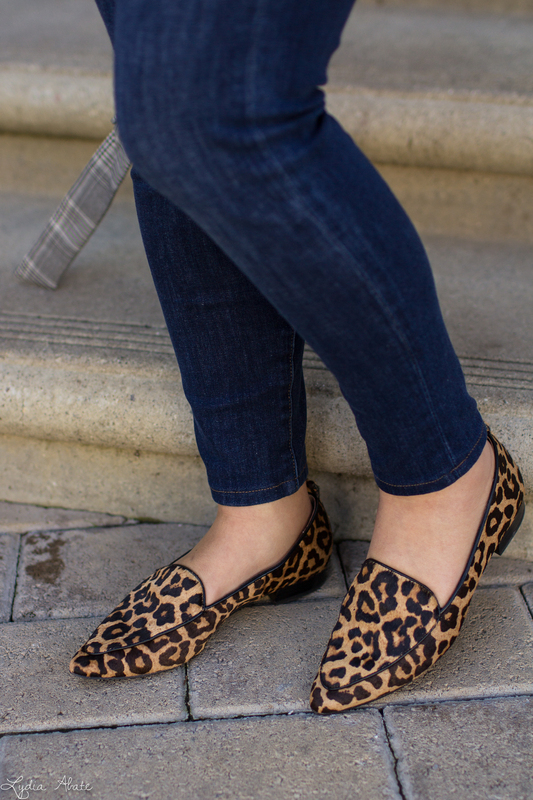 loving the blazer with the leopard flats! Cute mix! This is such a great look! I'm so in love with the blazer!! There is nothing wrong with jeans and a shirt or a tee, if it is done right. Especially if you add a fabulous blazer like you have. Plus your shoes, bag and necklace are gorgeous! 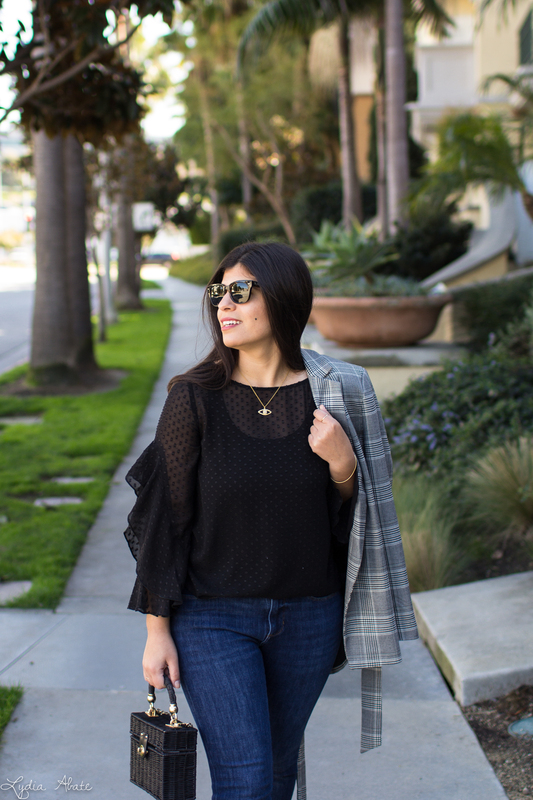 Plaid and leopard is such a chic combination! This is the perfect professional look. This is such a cute look! I love the leopard print and plaid, a great combo! Fun casual looks you have here dear, especially the first one. Love how you styled both with the leopard print shoes!